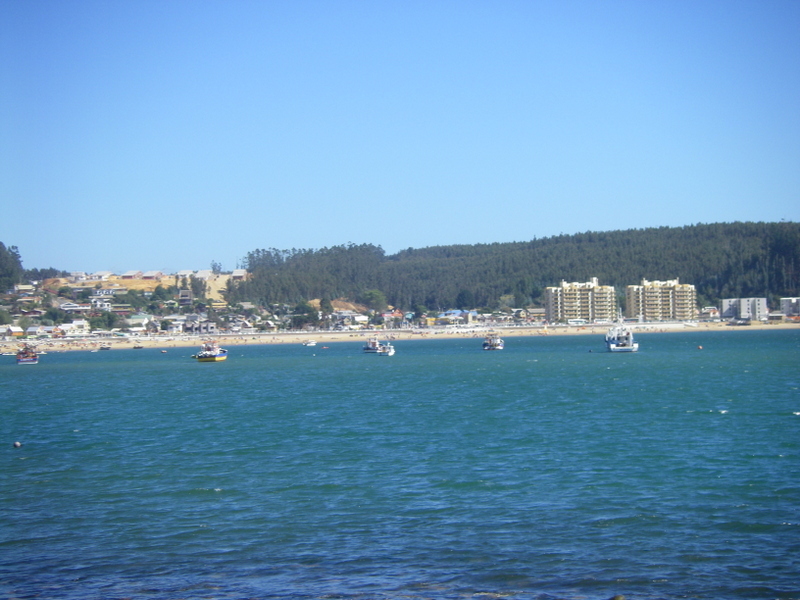 It was a little over three years ago that my plan to spend a night in the small, tidy coastal village of Dichato was frustrated when I decided instead to continue on to a hotel a few kilometers further south in Chile’s third largest city, Concepción. What transpired that night I have documented in of the first postings in this Blog and several updates subsequently through the next 3 years. 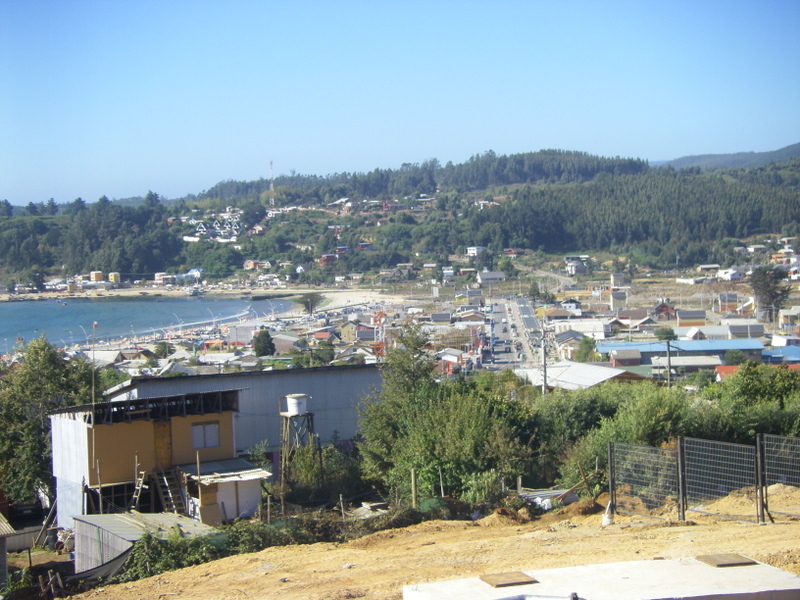 Dichato was destroyed by the tsunami that accompanied the tremendous earthquake the morning of February 27, 2010, and I escaped by a hair being part of that scene. 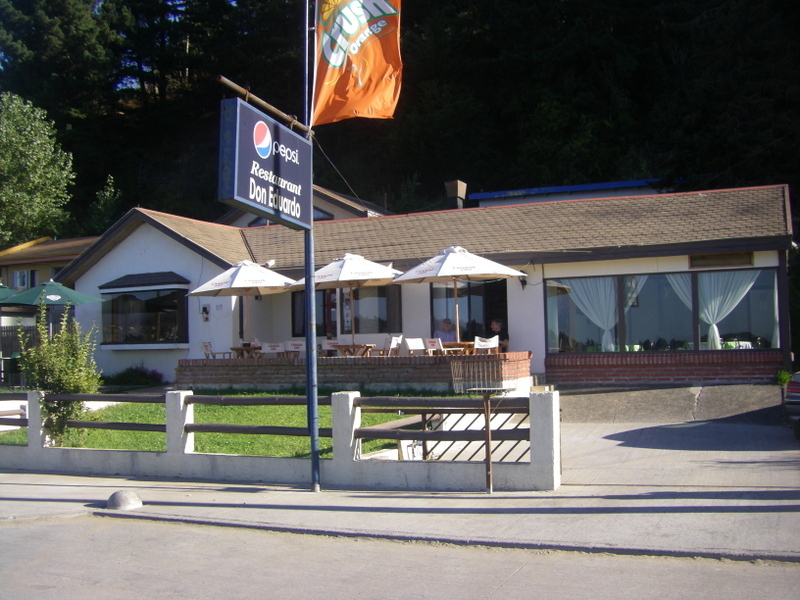 Still, my hotel in Concepción suffered considerable damage and in the process provided me with a frightening experience I hope never to repeat, but one that has tied me emotionally to the people of the affected areas of the Maule and Bío Bío regions of Chile. 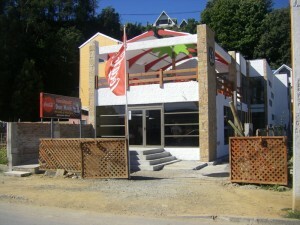 Much has been written about Dichato’s recovery; it is the poster child in a way for disaster recovery in Chile. Totally destroyed, relief was slow to the small town, until the affected population, desperate for shelter to face the imminent winter, took matters into their own hands and blocked the main road connecting Concepción and the rest of the country to a wealthy vacation development, Pingueral, a few kilometers to the north of Dichato. 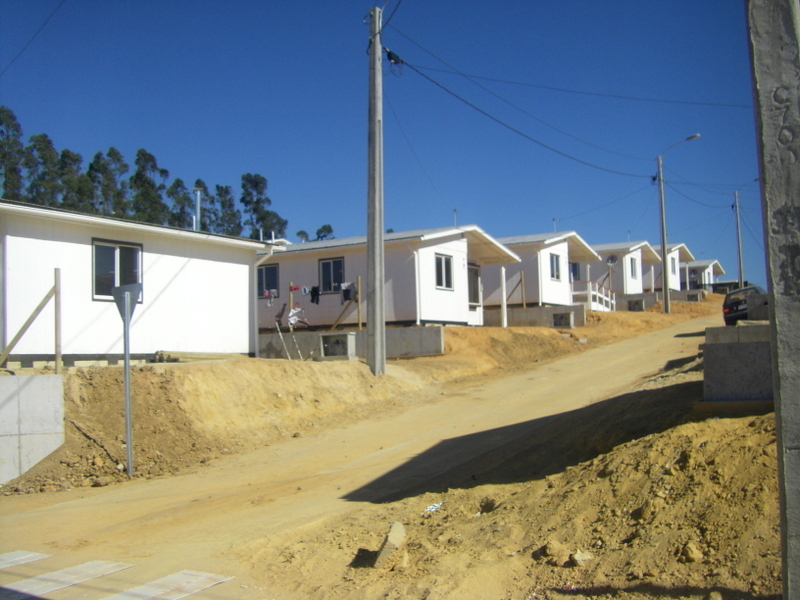 Pingeral was relatively untouched by the tsunami that destroyed Dichato, but these more well off and powerful inhabitants of Pingueral were unable to reach their homes and felt threatened by the precarious and unsightly camps set up for the homeless. So, being more connected to the new Piñera government than the residents of Dichato, they pressured the recently installed government agency directors in charge of the relief effort to provide help immediately to Dichato. This pressure, plus unsettling news reports of the desperate situation of one of the most affected towns that reached the capital city, caused a major effort to “fix Dichato”. Because of the fact that I planned to stay, but did not, that fated night in Dichato three years ago, I have tried to follow the recovery process in this small village, a task made easier by my close relationship with Ned Strong, the Director of Harvard’s David Rockefeller Center for Latin American Studies regional office in Santiago, Chile, through which several community based disaster recovery programs named RecuperaChile are being implemented in Dichato and two other surrounding towns affected by the 2010 earthquake and tsunami. 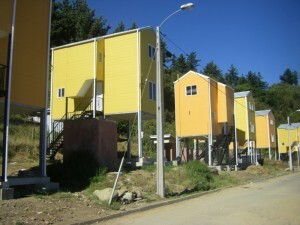 For details see http://www.recuperachile.cl/#!home/c5xg . 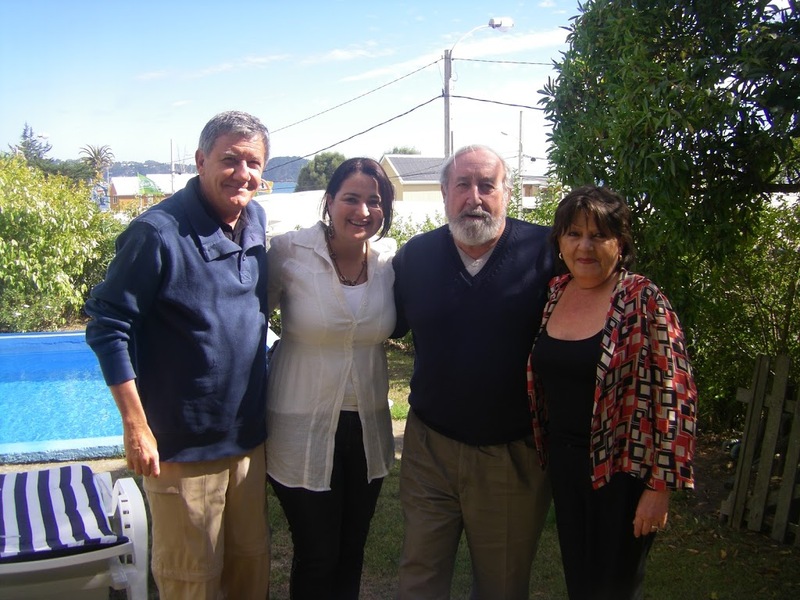 So when I returned to Chile this year, I was thrilled by Ned’s immediate agreement to accompany me to Dichato, to see first hand what the situation is for the town, 80% destroyed (16 reported deaths), and the 370 families left homeless. We were hosted in Dichato by Dr. Martín Zilic, who owns an old home in the center of Dichato which, interestingly enough, was not affected by the tsunami due to its location on a small raised area around which the tsunami waters chose to advance inland. Dr. Zilic, a surgeon who has held several important political positions over the past 20 years, is an advisor to the Harvard disaster relief projects in Dichato. Martín guided us around Dichato. 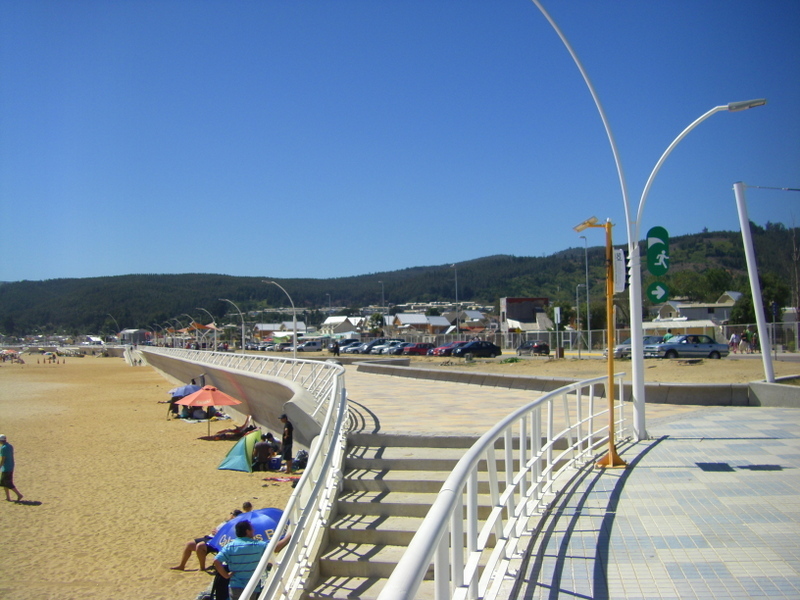 First, we walked along the newly inaugurated bay side pedestrian walkway constructed along the entire beach over which the tsunami roared that morning to destroy the town. and cold set in, but also because it was set up from the start to be temporary, with very fragile construction and community instead of individual services (water, bathrooms). Security was weak, and many who had options removed their children, especially girls, to homes of relatives or friends in other localities. 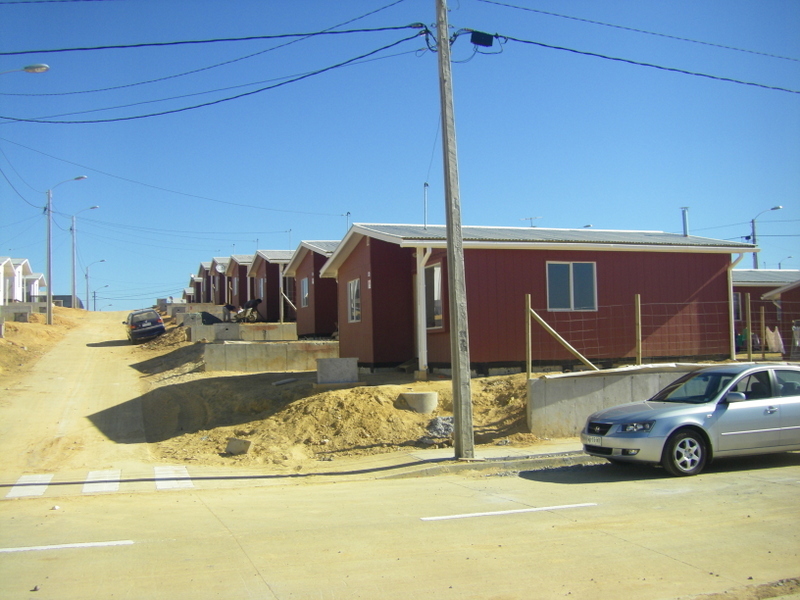 So these three years have been difficult for the residents of this temporary village. Now, three new housing sites, new neighborhoods in fact, have been established on the outskirts of Dichato, one an apartment complex near the water and the others on hills above town. 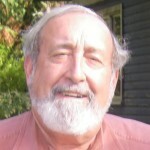 Reportedly 75% of the homeless have obtained their new homes through government provided subsidies and these new neighborhoods are being finalized with paved roads, parks for children, and areas for commercial businesses. 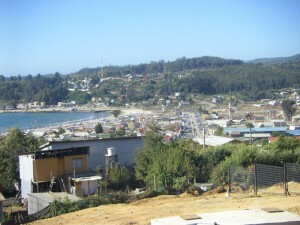 Two smaller neighboring fishing villages, Villarrica to the north and Coliumo to the south, share the Coliumo Bay with Dichato (and the wealthier Pingueral complex), and except for Pingueral, were also greatly affected by the tsunami. Facilitated by Martín’s familiarity with inhabitants of these villages, we observed closely one of the projects to replace the destroyed fishermen’s homes with a model of wooden homes built at water’s edge on concrete and metal stilts, copying the picturesque “palafitos” characteristic to Castro, the vibrant capitol city of the grand island of Chiloé more than one thousand kilometers south of Santiago. He, on the other hand, claims to have resisted the pressure to rebuild in a certain way, but still obtained the government subsidized loan and built his new restaurant his way; and he seems to be doing very well. It is pretty clear just by looking, that the stilt homes in Villarrica Village are nowhere near as integrated into the village as the ones in Coliumo Village. 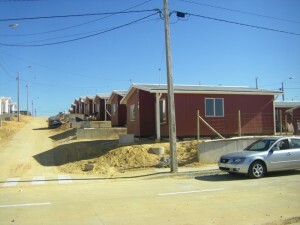 The idea to build these homes on stilts surely was one of those “imported” ideas, probably from someone who doesn’t live in these villages, nor ever will. The idea certainly did not come from anyone over 60 years old, for to get into these homes you have to climb a long, steep set of stairs. My guess is these curious structures will end up being B and B type rental units for city folks who want to spend a few days with a fishing village view. Filled with questions after visiting the area, we returned to Martín’s home and spent the evening talking about the difficulties the outgoing Bachelet government faced to respond to this disaster and the way the Piñera government has managed the huge recovery program over the past three years. It is fair to say that for years the Chilean government had seriously neglected creating the necessary disaster preparedness and response institutions an earthquake prone country like Chile requires. So Bachelet’s response was limited by the inadequacy of her country’s institutions, and the record shows that some people died as a result of the lack of timely information regarding the threat of a tsunami. 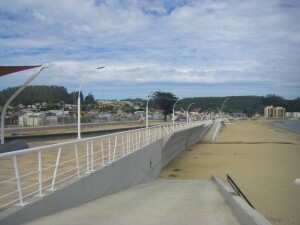 As well, it can be argued that the strained relations between the Bachelet government and the Chilean military, a carryover condition from the period of the military dictatorship, resulted in a delay in calling in the necessary uniformed forces to maintain order and prevent looting and other crimes in the most vulnerable neighborhoods, especially in Concepción and Talcahuano. 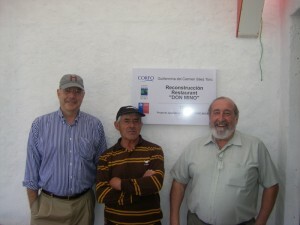 It is also fair to recognize that in many dimensions, Piñera’s approach to rebuilding the affected areas in three short years has been remarkable, especially rebuilding the important physical infrastructure of highways and bridges, basic services of energy and water, schools, health clinics, and residences for the homeless. Of special note is the speed with which facilities were made available for school children to enter classes near the start of the school year shortly after the quake. While there are still criminal charges pending against the then Intendente of the Bío Bío Region (Bachelet appointee) and the Chief Commander of the Navy in the same region for their role and responsibility to provide the public with information regarding the threats the population faced that morning of the earthquake and tsunami, it is interesting that in the recent local elections held in Chile a far greater number of candidates aligned with political parties sympathetic to the Bachelet governing coalition were elected to contested positions than those associated with the Piñera government. A general conclusion, albeit probably overly simplistic, could be that even though Bachelet’s initial response was flawed, and the Piñera government’s reconstruction efforts have been quite successful, the political implications of this disaster do not seem to have turned this traditionally left-leaning area of Chile against Bachelet nor appreciably more in favor of the center right Piñera. 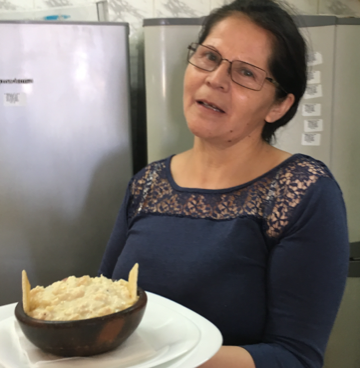 As we delved deeper into the politics of disaster relief in Dichato with Martín, though, our attention was shifted to another theme to which this blog and this writer are intimately attached; food!! 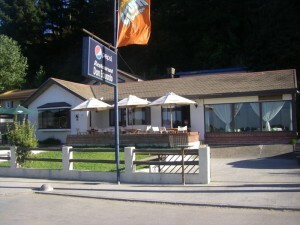 Martín’s father-in-law, Fructuoso Biel Cascante, was staying that night along with us at the Zilic Dichato home, but had remained relatively quiet during dinner as we talked about the 2010 disaster, although he had mentioned that he was also a surgeon, once associated with the Concepción University. 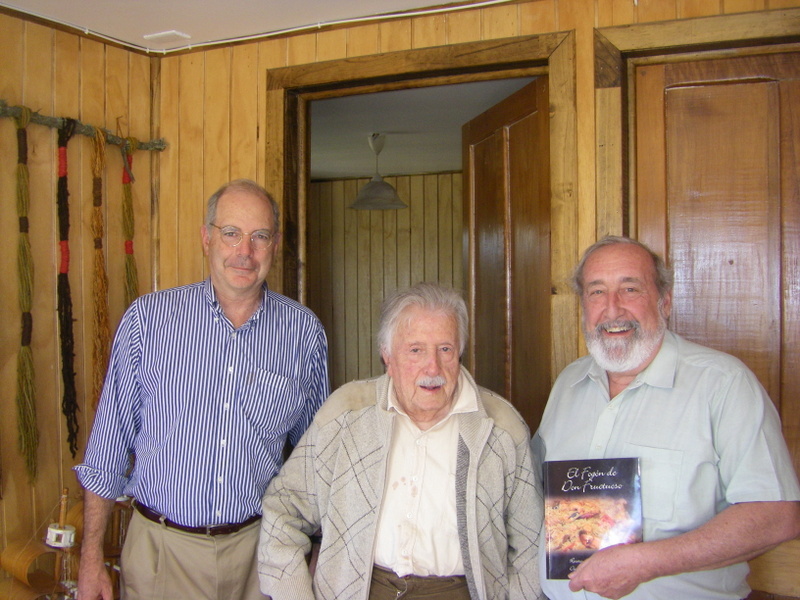 But to my surprise and great pleasure, Martín explained that several years ago Fructuoso and his wife Pina authored a fantastic cookbook entitled El Fogón de Don Fructuoso, a signed copy of which I received from Fructuoso after a long and detailed discussion of classic Chilean dishes like cazuela, caldillo de congrio, gambas al pil pil, and Spanish dishes like cocido a la Madrileña, paella Doña Guadalupe, Croquetas abuelita Lupe, tortilla de verduras, and of course, his secrets for making a perfect sangría. There is nothing that compares with discussing the tricks of the gastronomic adventure with a 93 year old “foodie”. Besides his beautiful book, I came away with new approaches to preparing fried congrio (just a thin layer of flour should cover the two inch congrio steak cut across the girth of the fish, including the center bone, rather than filets), what cheese to use on machas a la parmesana (just grated aged parmesan, not soft queso blanco or mantecoso so often found) , and how to flip a Spanish tortilla to make sure both sides are nicely browned (use a plate, slip the browned side of tortilla onto the plate, then place the frying pan over the tortilla upside down, and flip over rapidly before returning the pan to the fire on the stove). These may seem like simple, maybe even well-known tricks, but I am much surer about these now that I have heard this directly from my new favorite chef and author, Don Fructuoso Biel. Early the next morning Ned, Martín and I met with Pilar del Campo, a young but experienced social worker with the Municipality of Tomé, that covers Dichato. She is experienced with health education and programs that attempt to reduce violence to women and children. Pilar helps coordinate the Harvard activities in Dichato, including a plan to integrate Concepción University sociology department students in projects with children in Dichato. 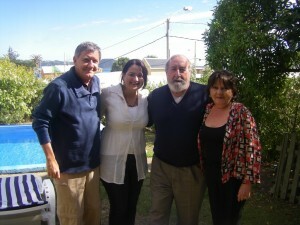 Pilar is supported in her work by a psychologist, Dr. Mario Valdivia, also from the University. One of the main objectives of the Harvard project is to rebuild the civil infrastructure of Dichato that is so important to the socio-economic well being of the village that depends on tourism (vacationers, more exactly) served mostly by small businesses. Owners of shops, stores, restaurants, and service organizations who lost their locales, materials, and tools in the tsunami are being helped with a program to link them to sources of loans, grants and technical assistance to reestablish their businesses. Pilar is a tireless professional dedicated to making Dichato a better place to live, an optimist with an infectious faith in one special group of Dichato residents: women. Pilar passionately explained to us how immediately after the disaster, it was three women who took over the leadership of the three informal neighborhoods (aldeas) into which Dichato is loosely organized, and guided the people through the worst of the after effects of the disaster, organizing, pushing, encouraging, demanding assistance, and anything it took to get the village functioning again. According to her, the men in the responsible positions in the Tomé Mayor’s office and his delegate in Dichato did virtually nothing. 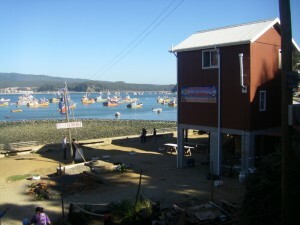 The three women formed neighbor groups (juntos de vecinos), and are behind ambitious programs supporting tourism, water sports, and gastronomy development. 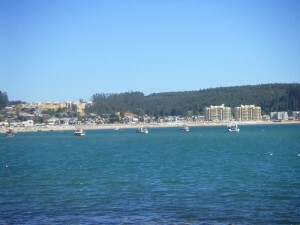 This past summer the town was jammed with visitors the entire vacation period. 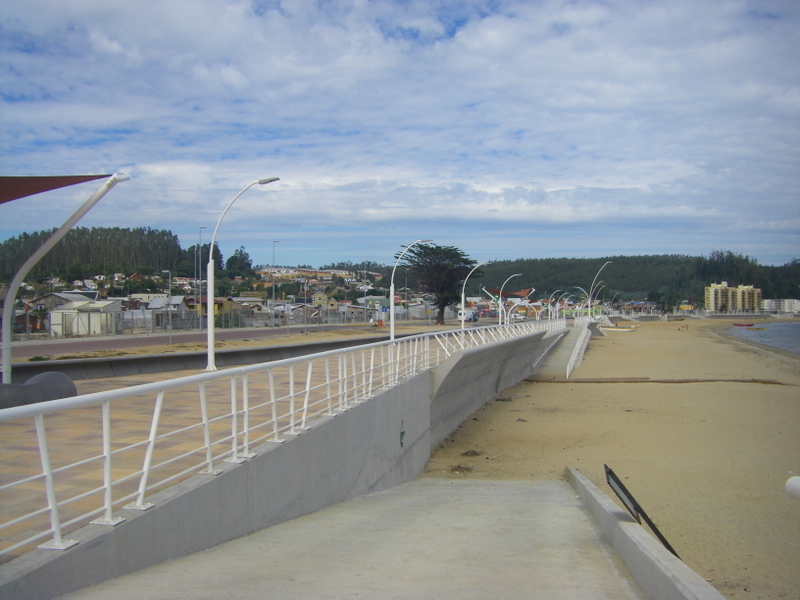 Dozens of restaurants and other services were fully functioning all summer, many assisted by Chilean government and private programs like the Harvard project rebuilding the civic infrastructure of Dichato. A major music festival was held on the new coastal walkway, and many politicians and well known artists participated. Pilar and the women neighborhood leaders are involved in a movement to form Dichato’s own political Town (Comuna) structure, freeing it from dependency on a Comuna leadership based in a larger neighboring town, often indifferent to Dichato’s needs. Does all of this mean that we should be optimistic about Dichato’s recovery from such total disaster? Pilar says yes. With the confidence and conviction that is so natural to social workers, she firmly believes that “in ten years Dichato will be reinvented, more attractive than ever and with better services for visitors and townspeople alike.” I want to agree with her, but I still plan to return next year when I visit Chile, to check with her and Martín. And if Don Fructuoso is still there when I visit, I’ll go with him to have a plate of perfectly prepared congrio frito at Don Mino’s restaurant. 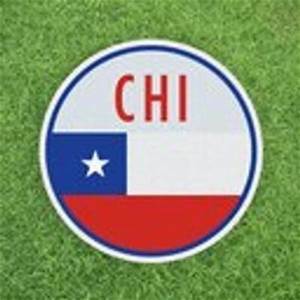 Maybe Chileans should take their know-how to Italy where the earthquake damage in LAquila never seems to get repaired. Hi! I’m Nathalie from Dichato, I met you weeks ago in Santa Elena restaurant. I just read your comments about Dichato and I started to remember how everything happened. It is still difficult to think about it. My father is a fisherman and he lost his boat, and my house suffered some damage too, but is nothing compared to what other people had to go through. I like to think about all of that disaster is now a beautiful place to live in. And that someone from other country can be part of this place and enjoy it as much as I do. Hi! I’m Nathalie from Dichato, I met you weeks ago in Santa Elena restaurant. I just read your comments about Dichato and I started to remember how everything happened. It is still difficult to think about it. My father is a fisherman and he lose his boat, and my house suffered some damage too, but is nothing compared to what other people had to go through. I like to think about all of that disaster is now a beautiful place to live in. And that someone from other country can be part of this place and enjoy it as much as I do.